Since being founded in 1976, Chris King has become one of the most esteemed names in cycling thanks to the extraordinary quality, durability and performance of its components, which include the finest headsets, hubs and bottom brackets. A young bike enthusiast living in Santa Barbara, California, Chris King was a hobbyist bike engineer, welding up frames in his spare time and customising small components. A member of staff in his local bike shop suggested that improving headset design would be the ideal focus for the fledgling bike guru. This meant improving the hardness and durability of the headset, achieved in part by King's use of cast-off bearings from his job servicing surgical devices. The result was an ultra smooth, ultra resilient design that wowed all who used it. That drive to perfect essential cycling components that many take for granted has never dimmed and today, the brand has become synonymous with quality, durability and performance. Chris King joined Saddleback as our hub partner in March 2011, a fittingly high-end combination to go with ENVE rims. In April 2016, the full Chris King range – including headsets and bottom brackets – came under our care, the brand becoming an even more intrinsic part of the Saddleback family. Chris King's design philosophy is incorruptible by passing trends. The team simply doesn't believe in obsolescence. If they've made it, Chris King still supports it, and will continue to do so. 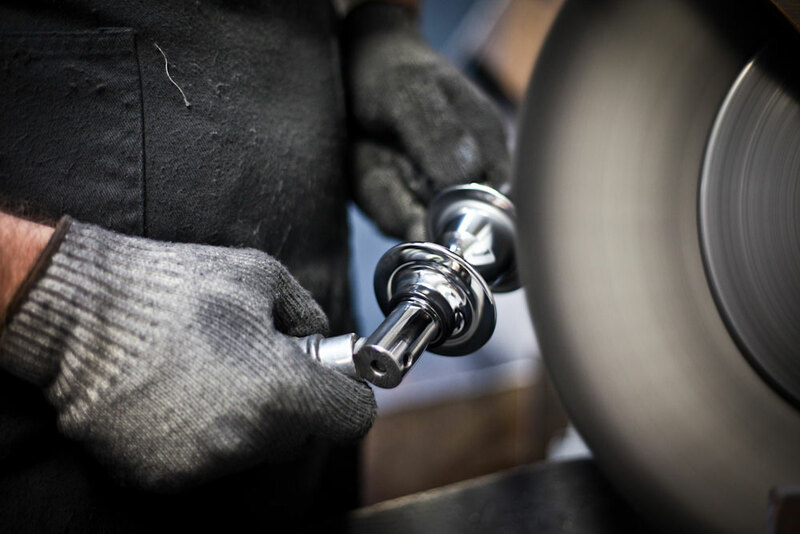 Because Chris King parts are built to last, we offer a 10-year-warranty on Chris King headsets and a 5-year-warranty on Chris King bottom brackets and hubs. Keep your components running faster than new. The Chris King team has designed its bearings so they get even faster with age. Chris King components are made from responsibly sourced materials. The manufacturing processes used – all in-house in Utah – are also as environmentally friendly as possible. Not all bicycle components are built equal. This is certainly the case with Chris King, and a superior component deserves superior attention to keep it in optimum condition to outlive it's owner. This is why we have spent the time training a select group of Chris King dealers to become Official Service Centres. We have given them all the tools they need to perform full services on all Chris King products, regardless of how much abuse the component has seen. Use the filter in the dealer locator below to view all of our Chris King Official Service Centres.